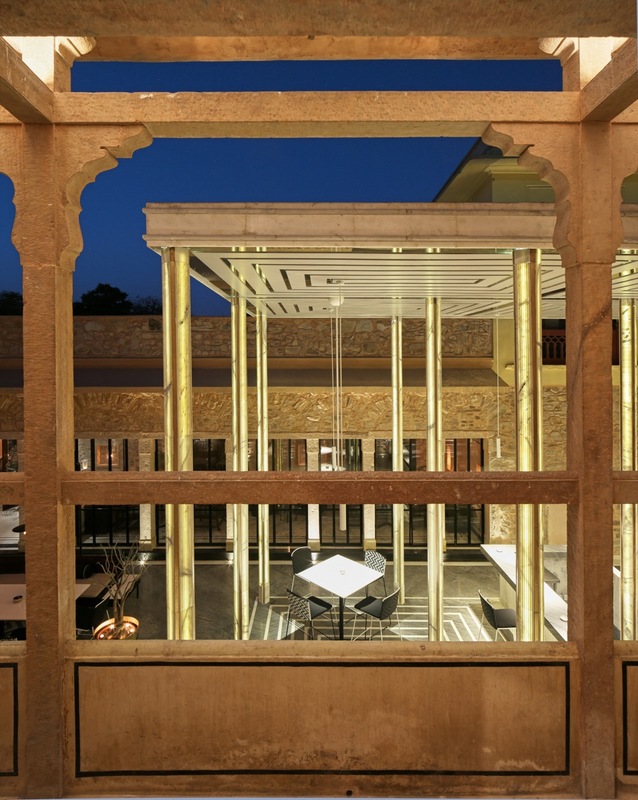 Adaptive Reuse - Baradari, City Palace Jaipur by Studio Lotus - ArchitectureLive! 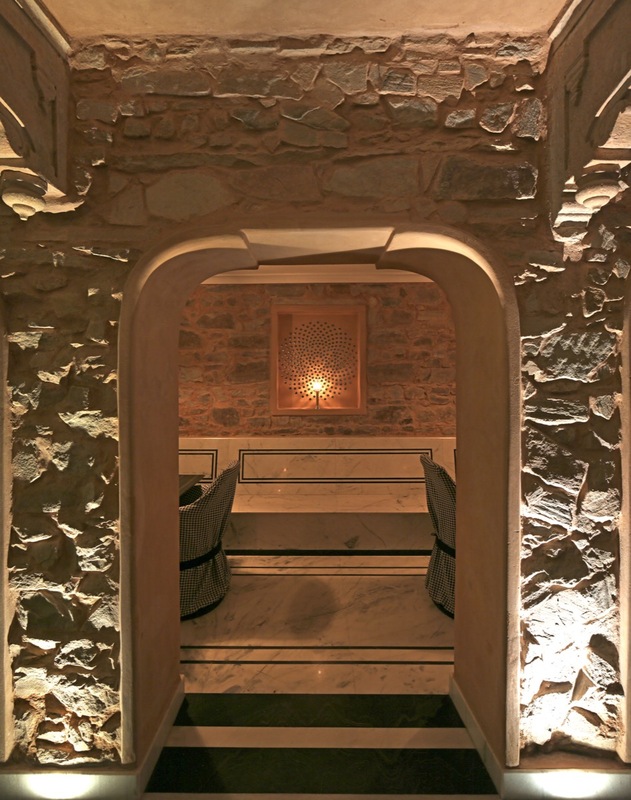 Winner of the Creative Reuse Category at INSIDE – World Interiors Festival 2016 and a Finalist at World Architecture Festival 2016 in Berlin, the Baradari at City Palace Jaipur in Rajasthan cites an insightful example of how design brings inherent value to a place when conventions on conservation and adaptive re-use are looked at through a fresh lens. 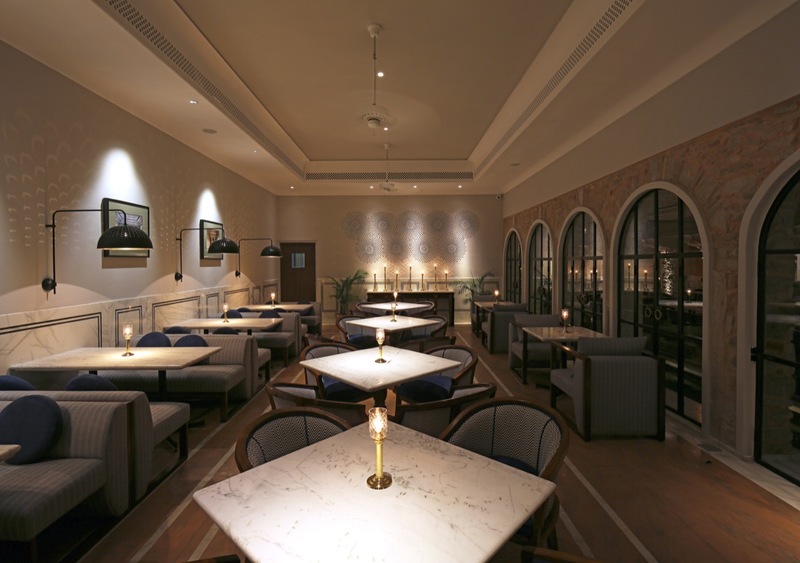 The royal family of Jaipur invited the practice to redevelop the 14,000 sqft area of the former palace café as a fine dining destination. 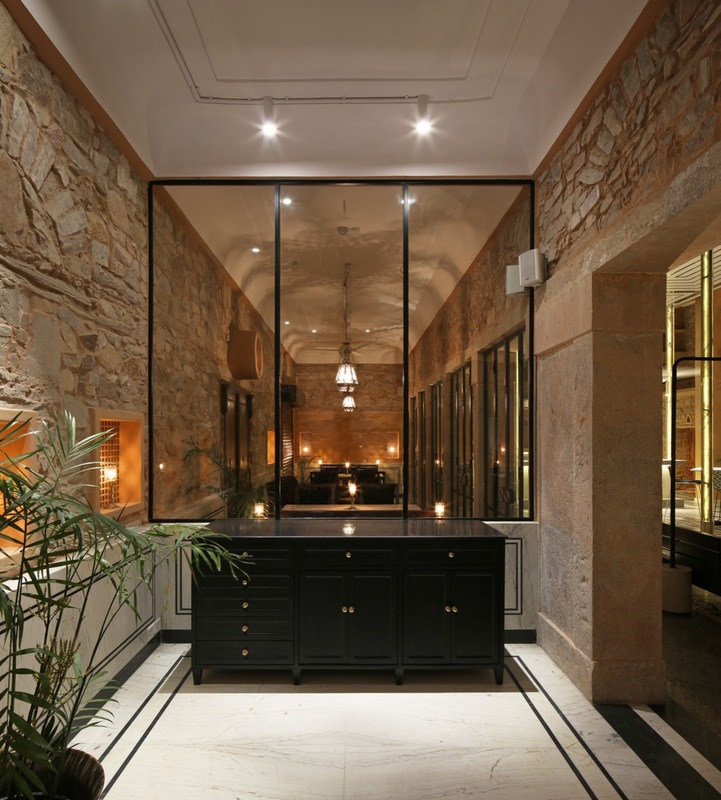 The brief was to expand the relatively non-descript café to include a private dining area, bar and various private lounges, along with a quick service counter to the program, while retaining the back of the house facilities in their current location. The team made an intensive study of the way the existing space functioned, the additional spaces available and how the proposed expanded program would function best. The existing buildings were given a new expression by stripping them of layers of paint and cement plaster. The exposed rubble masonry was then repaired with traditional lime mortar with details formed in lime plaster. 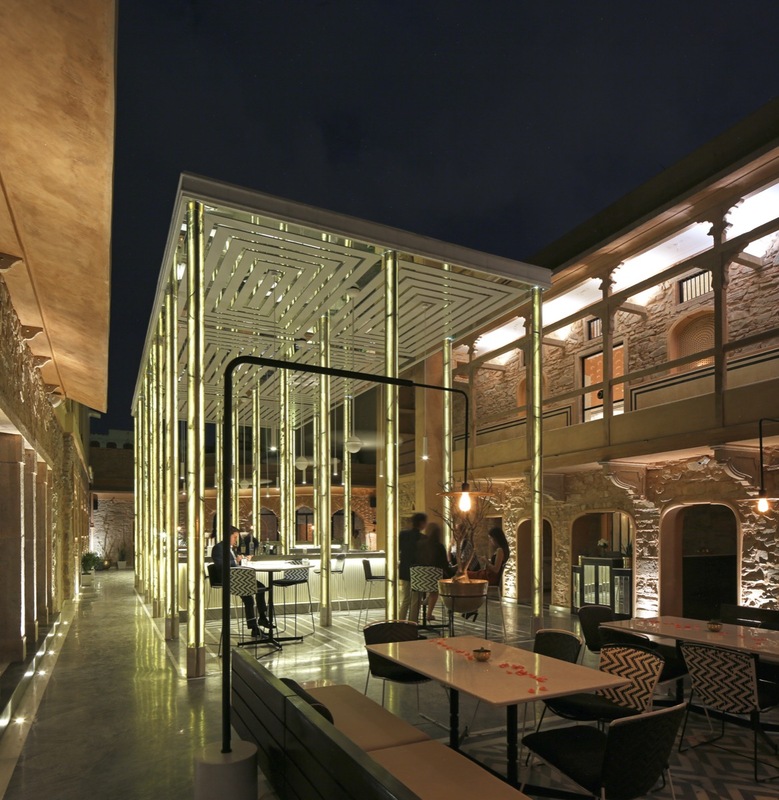 A key conceptual move was to use the courtyard as a binding element for the new program rather than just an extension of the restaurant. This meant dismantling an existing structure, being used as a toilet block, from the middle of the courtyard to open up the area both visually and spatially. A Pavilion in the form of a Baradari (literally translated – pavilion with 12 columns) was inserted in the form of a bar into the courtyard to divide yet link the two zones flanking it. 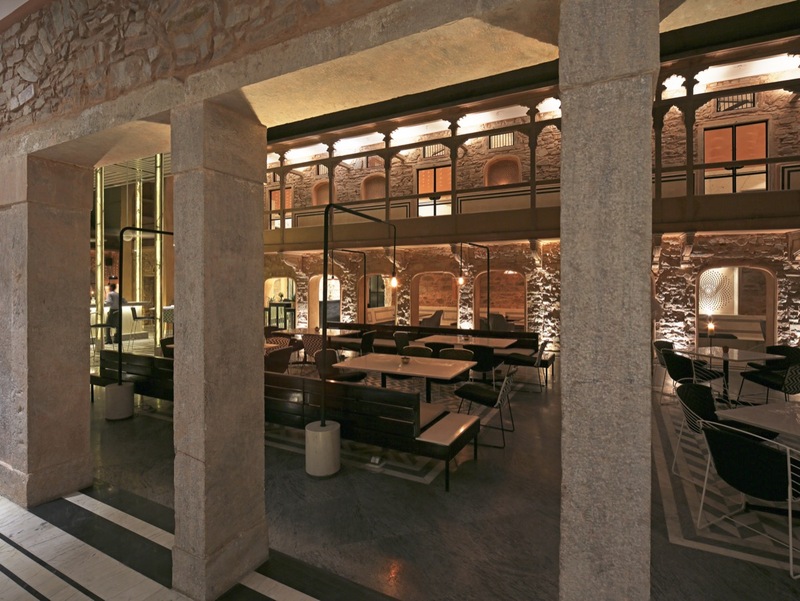 The courtyard also serves as a Connector between the Museum and the city through a secondary entrance. Built in handcrafted marble and brass, the contemporary expression of the Baradari-inspired Pavilion heightens the surrounding historic vocabulary and gives the place its key identity. 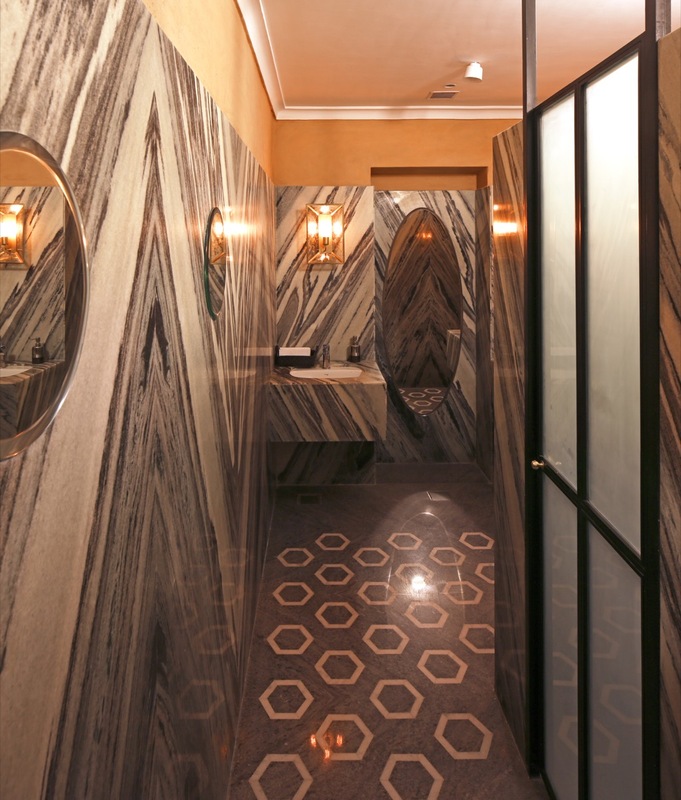 The newly-designed areas now accommodate 200 covers across its breadth of spaces comprising the bar, lounge, restaurant and private dining room. The concept seeks to create a balanced interplay of historic revelations and contemporary additions: both drawing from and interpreting the underlying Indo-Sarcenic influences of Jaipur’s architectural history. Traditional crafts of Jaipur like Thikri work, bespoke casting and foundry work, furniture and stone work have been worked upon in this new idiom – whether it was through finding new form or using them in a new manner for a new use. 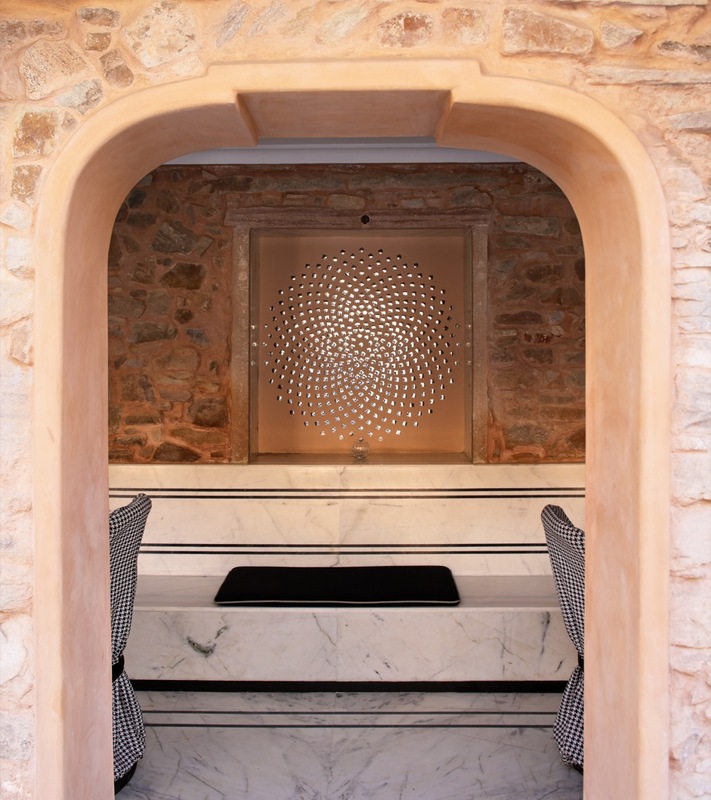 From structure to flooring to furniture units, stone masonry and inlay work have been given new expressions. The skilled artistry of local craftsmen in marble is given a graphic vocabulary for flooring, the Pavilion, dado work, benches, table tops and more. 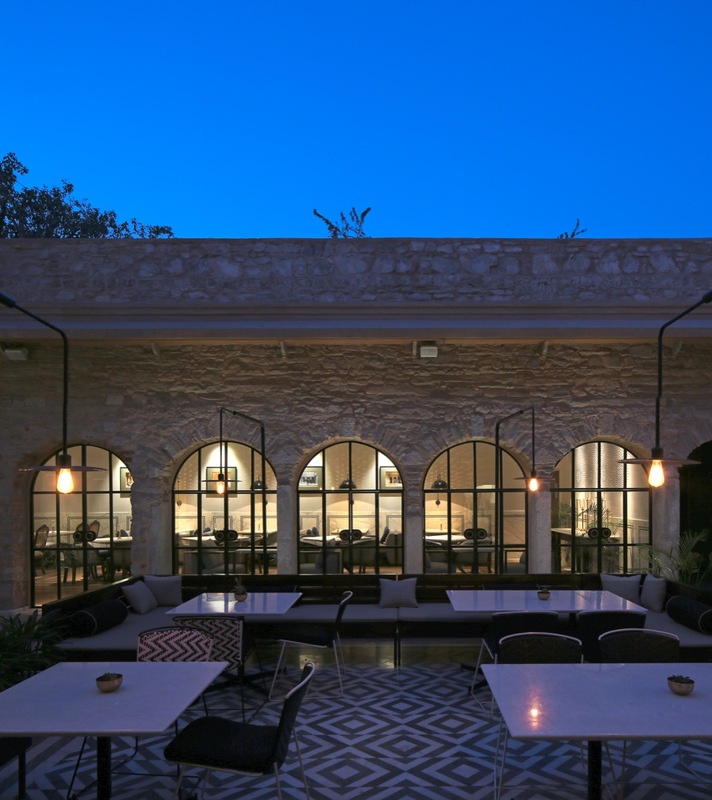 Housing the island bar, the contemporary Baradari-inspired Pavilion is built using metal, fluted marble and mirror heightening the historic vocabulary of the existing buildings. 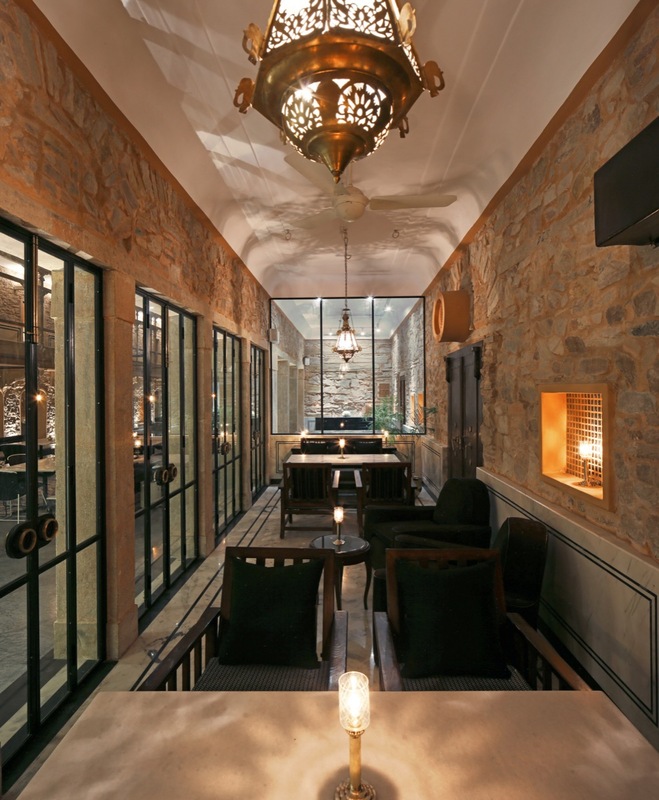 Marble benches line the deep verandahs enveloping the courtyard to create intimate dining spaces. Mild steel and brass are used for bespoke lighting and door design. Constrained budgets encouraged the design team to use a combination of new and existing furniture salvaged from the Palace. Inspired from the hybrid influences, upholstery and weaving patterns were generated to give them a new lease of life. Given the nature and expression of the project, it uses more of indigenous technologies and skills such as low-tech energy-saving processes like rainwater harvesting and bio-degradable construction materials such as lime mortar instead of cement. The courtyard terminates at one end in a fluted marble water cascade that helps create a micro-environment that cools the courtyard in summer while drowning out noises from outside. Energy efficient air-conditioning systems, low energy electronically-controlled LED lighting systems are seamlessly integrated within the program. Several countries in Asia have a rich legacy of historic buildings but more importantly there are countries such as India, which have a rich legacy of Living Tradition of traditional crafts and arts that are dying as they have been unable to reinvent themselves to today’s ideas and needs. Baradari serves to be a demonstration of how active engagement of these craftsmen and artisans in new design applications can bring both, an exciting flavour to the project, and open up new ways of thinking for these artisans. The new design of the space has created a buzz and interest in the old quarter of Jaipur, which otherwise was becoming a place to only go and experience legacy. Today the museum too is looking at becoming a place which is at the forefront of new thinking in presenting tradition and looking to revamp the approach to conservation and museology it has taken so far. It has also become a point of reference for design students and artisans alike to come and see how traditional forms can take exciting new expression using the skills and materials that are native to the region and very much a part of the legacy of Jaipur.